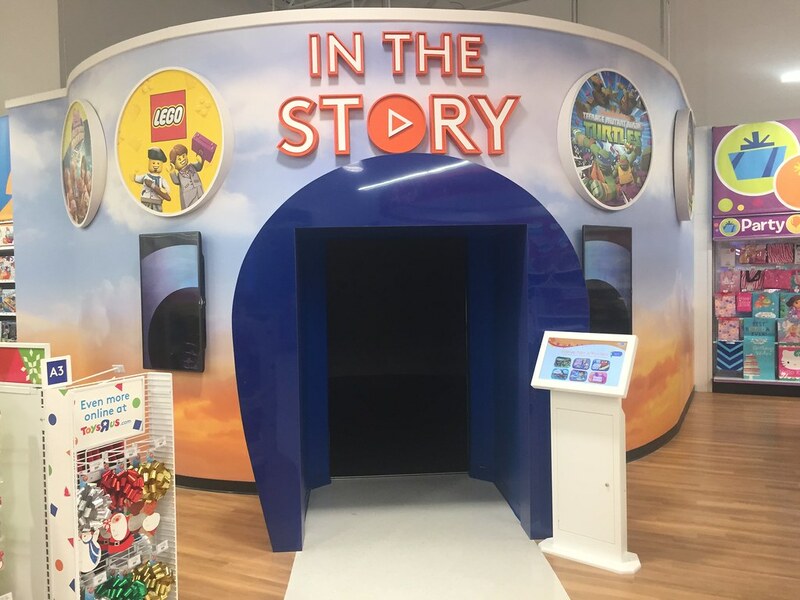 In response to changing retail behaviours, the Toys 'R' Us Store Planning and Design team asked Igloo to create a state-of-the-art immersive interactive installation – and help turn the store into a destination that children want to return to again-and-again. Using a touch screen control panel at the entrance to the cylinder, visitors can choose from a range of content. And, to make the experience truly interactive, the Igloo development team built a 360° motion tracking system using Kinect sensors. This enables up to 20 children to play and interact with the content, including digitally painting on the screen with hand movements, and taking control of their favourite film characters through motion tracking. Although the installation is based on our off-the-shelf 6 metre cylinder, we added robust GRP screens to contend with the daily wear-and-tear caused by hundreds of excited children.